I am a perfectionist but I like things done quickly. My husband is a perfectionist who likes things done perfectly. That is one huge problem. I once painted over dining room wallpaper. It was wallpaper in the morning and clean lovely off white paint by the end of the day. My husband was in shock. ﻿It took him a long long time to get over it. We were transferred before anything bad happened. We have never painted any walls in any houses we have ever owned any color except for a sort of creamy eggshelly color. We have tons of hanging stuff…quilts and paintings and other treasures. which is still not done. Shower door not in, fixtures not ordered, etc. play, watch movies, play, watch football, and play. So light it looks almost white but it is blue. My husband spent the entire day yesterday in our master bath. He sanded and patched and covered and prepped and taped and worried about painting the ceiling and making a mistake. There is still no sign of iceberg blue on the walls. We are not painting today. I am postponing the shower door installation for another week. This is way too much pressure!!! I could paint the walls myself and surprise him. Fall Makes Me Want To Make Soup…Lots Of Soup!!! We've had color in almost all of our houses and just have shades of beige in this one, and I find it oddly soothing. That's not a color color. Looks more of a pale grey, almost a dove grey on my screen. Don't worry about it, its still a neutral, just not beige. I like grey for a bathroom. But mine is a few shades lighter than that there Shelf Awareness ad. Definitely not a color to worry about. If you think he'll worry about it to the point of not painting, just do it as a surprise. Like designers say, live with it a bit, and since paint is fairly cheap, makeover wise, you can change it later. I actually enjoy color, but in most of my homes, we had off-white. Except in the seventies, when we had gold on the family room walls and a reddish orange in one of the bathrooms. Now I've got off-white walls, but use a lot of color in the decor. In my house in the foothills (94-07), I had sage green walls in my bedroom, which I loved. The laundry room was a mustard color that woke me right up. The hallways were a pale yellow. The house was fairly big, so it seemed to work having all these colors. I like color. THAT is barely a color but I suppose it's different than creamy beige so you are making progress. The house I am in now is primarily beige but the downstairs powder room is Tiffany blue and the laundry room is brickish orange which does not flow with the power room as all so the plan is to paint it chocolate brown but it hasn't happened yet. BTW.. I have no problem posting a comment while on my Mac. That color looks like a lavender. Nice though. I've never painted a wall by myself. You're to be commended! Go you!! In our house, I get to pick the colors and my husband usually does the painting, sometimes with help from his brother. I like color though. Our bedroom is a deep orangey rust color, that sounds ugly but I love. Our kitchen is a pretty yellowish. We're hoping to get the dining room and living room painted this fall. My beach condo apartment would absolutely horrify you, Patty! I have zen green in my dining room, which is a soft green…easy on the eyes, a soft peachy shell color in the living room, and a sky blue color in the bedroom which gets a lot of sunlight. The entire room literally looks like you're looking at the true blue skies! I don't have too many things hanging on the walls, so it's not distracting. I love the color you picked, I had my former apartment painted that color throughout, to match the ceramic tile. 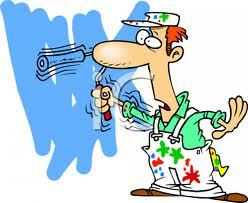 Painting is a lot of work, and quite costly if you hire a professional painter. You are so fortunate to have such a handy hubby! Thank God, I have my ex, my son, and my son-in-law who all are amazing handy men, to help me with household painting and handy work. Isn't it great to have such a handy guy around to do all that work? I was always with you…white or off white and then I bought the house I am in now…it is near the beach. When I walked into it all the walls were white and I thought I'd walked into a marshmallow! I decided it needed color. 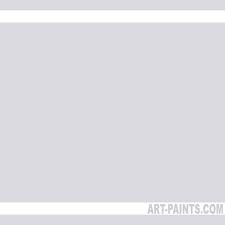 I had heard of painting walls the same color but different shades so I decided that if I hated it I could always go back to white…. I chose an amazing deep blue and for two walls and a lighter blue for the other walls – now you have to understand that it I have a really high ceiling and I left it white!